Professionals, no matter which smartphone or handheld platform they use, most often need mobile apps for viewing and editing office documents, taking notes, managing tasks, communicating with others, and working with files (backing up and syncing to different devices) on the go. One of the many reasons smartphones were, invented was so that we could be more productive. They are little computers that we carry with us everywhere and that means they expand our ability to get work done at any point in the day. While it is healthy to have a separation of work and home life, it is undeniable that some things are just more easily, handled on a smartphone. Today we are here to reveal about an app, Your Porter. 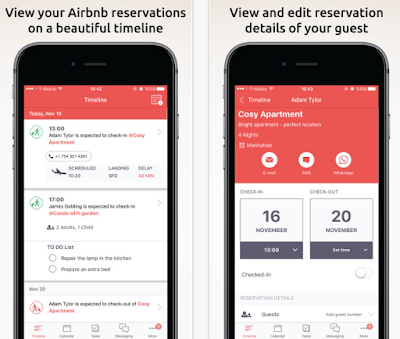 Your Porter is your pocket assistant to deal with your renting and hosting services like Airbnb on the go. By using this airbnb rental management app you can greatly increase you productivity and it make it easy for you to maintain the quality of your service always. The app comes up easy to use managing tools to arrange and maintain all the task and activities at one place within few clicks.